As the seasons change, the weather gets warmer, and the school year comes to a close yet again, another vacation season is just around the corner. And according to a recent travel survey by AAA, nearly 100 million Americans are planning to participate this year. The travel and tourism industry, which brought in more than $100 billion in the U.S. alone during the summer of 2017, continues to grow and flourish as Americans continue to make vacationing a priority. 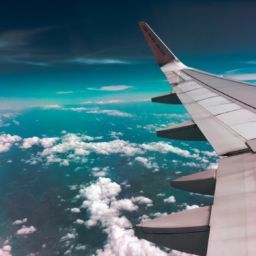 However, as the industry and the influx of travelers continues to grow, so does the demand for assistance, information, and other services during their stay—making the need for self-service solutions greater than ever before. Designed with simplification in mind, self-service digital kiosks can help provide travelers with the information and services they need to allow them to enjoy their hard earned time away. After all, that’s what vacationing is all about, right? While not all vacations require a flight, for those that do, travelers’ first stop after they land at their destination is typically at the car rental counter. Designed to reduce long wait times and help kickstart vacations on a positive note, car rental kiosks allow drivers to check-in, select, pay for, and upgrade their rental car selection—all from the kiosk. Drivers receive a printed receipt to take to the counter to retrieve their keys, and then they’re directed to go pick up their car—it’s quick and easy. As the next logical step, travelers typically stop by their hotel to unload their luggage and get settled in. Similarly to the car rental check-in process, travelers can use hotel check-in kiosks to check-in and pay for their room and also retrieve their room key card. The check-in process can be completely unattended, allowing travelers to quickly check-in no matter if they arrive during the busiest time of the day or late into the evening. While check-in kiosks certainly simplify the hotel check-in process, they can also indirectly improve customer service. Employees who were typically tasked with handling check-in can be made more readily available to answer questions and provide assistance as it is needed. Once travel and arrival logistics are taken care of, vacation can officially begin! However, whether it’s a traveler’s first or fifteenth time visiting a destination, there’s always something new to discover. From shops and restaurants to attractions, tours, and events, interactive digital signage and wayfinding kiosks can help travelers plan their days. With different categories, interactive information, map integrations, calling features, and print-on-demand capabilities, they can help users navigate their destination while also encouraging them to explore the surrounding area. While the conclusion of a vacation is often the hardest part of the trip for travelers, it’s also an opportunity to reflect back on their experience and to think about what they enjoyed and what they would have changed. 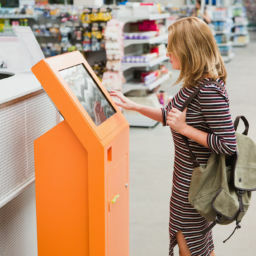 Digital kiosks, placed in a hotel lobby or other central location provide a platform on which visitors can respond to surveys, and leave feedback, prior to making their departure. They aren’t limited to use in hotels, though. Restaurants, tours, and attractions of all kinds can implement visitor survey kiosks to help them make improvements and ensure that their visitors are having positive experiences. 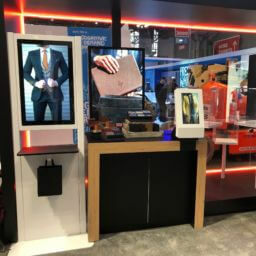 From the first steps off the plane or out of the car, to the last steps out of the hotel, self-service kiosks are simplifying different aspects of the travel and tourism industry all across the board. 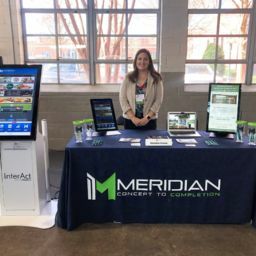 To learn more about Meridian’s travel and tourism-focused kiosks, visit www.meridiankiosks.com.